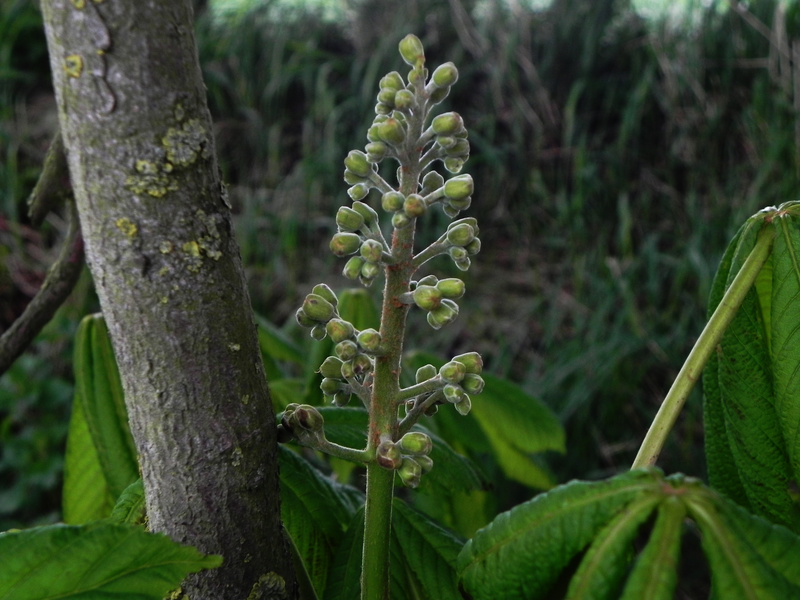 Remember, you saw Chestnut flowers here first! I know they aren’t open yet but we need to stay ahead of the game. Is it going to be a white chestnut flower or a red chestnut flower? An important question. Dr Edward Bach (1886 – 1936) devised a system of flower essences that could be used by anyone, without any special medical training, to modify their emotional state. Among the thirty six flowers that he recommends, are both red and white chestnut. White chestnut to quieten an over busy brain for those who, for instance, can’t sleep for thinking about things. Red chestnut was for those who take their responsibilities for others to extremes – he always phones at eight o’clock, and it’s nearly five past now, I hope nothing serious has happened – for example. Mrs Grieve (1858 – 1941) mentions that the nuts are not suitable for human food and this may be the reason for its name i.e. Sweet Chestnut – an edible, similar but unrelated nut and Horse, as in only fit for animals, Chestnut. She says that the bark has some medicinal properties. She also relates that during the First World War, Horse Chestnuts were soaked and boiled then ground into meal. This was mixed with animal feed and fed to a cow, a sheep and a pig. The cow and the sheep ate it and showed a satisfactory weight gain and good health but the pig refused to eat any of the food with the nut meal mixed in. Still, by doing this every pound of nut meal fed to animals saved an equal amount of barley or oats, which could be used as food for people.